The Ranger 305 D CE is a powerful 300-Amp Dc multi-process diesel engine driven welder. It provides excelent arc characteristics in Stick (Conventional or Pipe), TIG, MIG or Arc Gouging. This Ranger is totally enclosed to protect the 45 litre fuel tank, water cooled Kubota 18.8 HP D722 diesel engine. 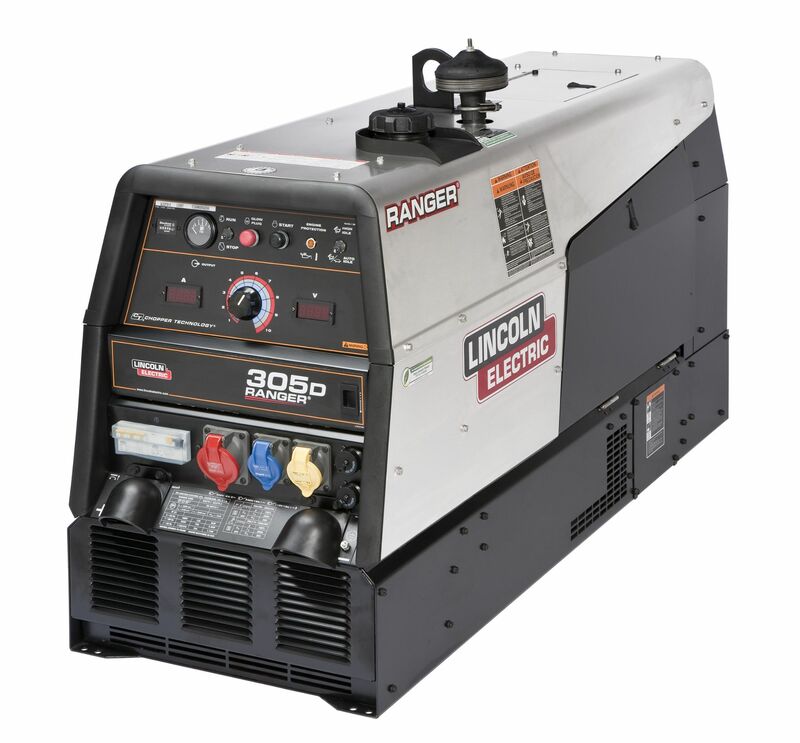 Delivering 8000 continous (8500 peak) watts of 115V AC generator power it is obvious this was designed for welding professionals with high demands.